At the end of last year I decided that my heart just wasn't in the V15 class any more and that I needed a new challenge. After searching for the right boat for sometime, eventually this 3.5 Falcon became available, so with it's fast and winning history, I knew it was the boat for me. This week I finally finished the transformation into my boat. It now has nice new paint in my colours, is setup for O.S. engines and is ready for an intense testing schedule before the big race in Spaarnwoude, Holland in June. I have a couple of engines that need running in and testing, gear ratios and exhaust pipes to test, as well as a few props. It's going to be busy but I have a lot to learn in a short time. There will be a massive 67 competitors in the 3.5 class so I will need to be prepared! 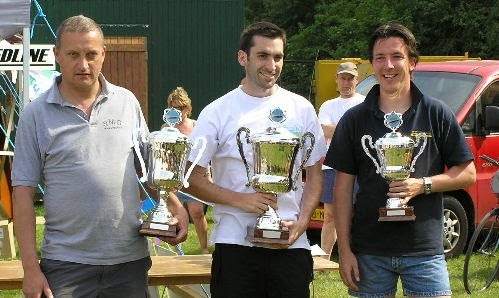 It was 6 years ago that I have fond memories of winning the 15 race in Spaarnwoude 2008. Let's try to make new memories this year! See you in Spaarnwoude!